Families are not only the catalysts that get the person to recognize his/her addiction and its effects but also oftentimes, the reason for it.Each family is different in terms of its structure, bonding, background and sets of problems and it makes sense to take help from counselors who have the expertise in this field to understand the best way of broaching the subject with the addict, or even seek their mediation if required. Whatever the approach, it has to be kept in mind that communication between the family and the addict is the key to the road to recovery. Once the first hurdle of getting the addict to agree to seek treatment is over, it is now time to decide if the person should go for an inpatient or an outpatient substance abuse treatment program.The decision depends on the patient’s needs as well as the affordability of treatment. Both the scenarios require involvement from the family, albeit to different degrees. 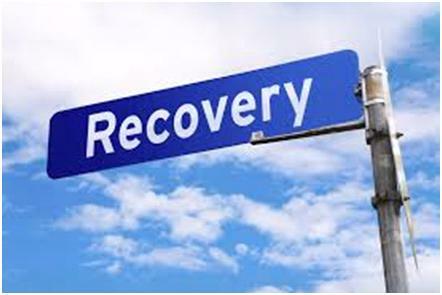 The in-patient treatment requires the addict to be admitted to the treatment facility for a period ranging from three to four weeks. This, obviously, results in better care of the patient and also ensures that the patient is away from the environment which has contributed to the addiction. This option also allows other family members to reflect on the causes behind their loved one’s substance abuse, whether the family atmosphere has played a role in it, and how things can change for better.Most good rehabilitation centers encourage involvement of family members during the course of treatment through regular visits as well as by holding special workshops for friends and family that educate them on how to be supportive of their loved one during and after treatment. When the patient is being treated while remaining at home, the involvement of his/her family and friends is even more important as they need to provide a constant and solid support in the endeavor to get their loved one back to the mainstream. As highlighted before, substance abuse has a lot to do with family dynamics. Troubled families tend to have a negative impact on a person’s mental and emotional health. It is advisable for the family members to regularly attend Alcoholics or Narcotics Anonymous meeting both during and after the treatment to rebuild the family and understand the process of gradual recovery. http://dsamh.utah.gov/ is a helpful resource to find more about recovery support in Utah. Substance abuse by a family member, intervention and the treatment thereafter can be a long drawn out process and it is only the strong will power, patience and caring attitude of each family member that can bring the addict back from a path of destruction.